Police have called off their search for two Jedburgh girls reported missing yesterday, January 19. Ellie Gordon, 14, and Jasmine Hamilton, 12, have been found and are safe and well, say police. A missing persons appeal was issued yesterday after the pair left their homes in Jedburgh on Friday and failed to return home, leaving their families concerned for their welfare. 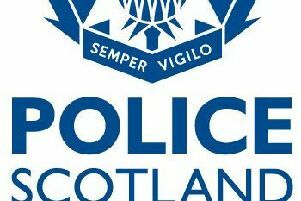 The girls are believed to have travelled to Johnstone in Renfrewshire by public transport, and police today confirmed that they had been traced outwith the Borders. A Police Scotland spokesperson said: “We are pleased to confirm that Ellie Gordon and Jasmine Hamilton, who were reported missing from Jedburgh, were traced safe and well last night in the Glasgow area.